An unfortunate reality of facial plastic surgery is that patients are not always satisfied with the final aesthetic outcome of an elective procedure. An inexperienced surgeon, the use of outdated techniques, a lack of doctor-patient communication, and complications that arise during the procedure or subsequent healing process can all impact the result. When a nose job is performed to create facial harmony by refining the size and shape of the nose, it can disrupt the pattern of airflow. Conversely, improvements in breathing may affect the look of the nose. Because of the intricacies of the nasal structure and the sometimes unexpected course of tissue recovery, rhinoplasty may produce unexpected or undesirable results. It is estimated that approximately 10-15% of patients who undergo cosmetic nose surgery will request a secondary procedure at some point. 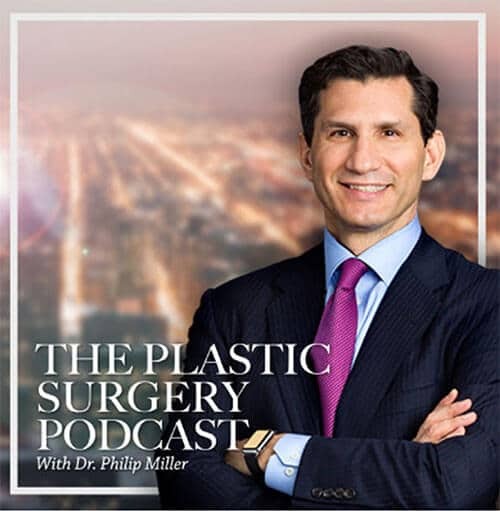 Manhattan plastic surgeon Dr. Philip Miller is known for his ability to produce the most natural and aesthetically appealing rhinoplasty results. 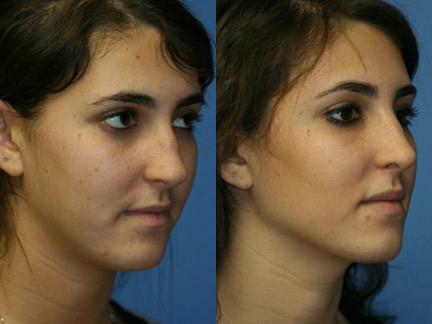 The doctor is also a skilled expert in correcting work performed by other plastic surgeons during revision rhinoplasty. During any facial cosmetic enhancement, patients may be presented with surgical limitations. Anatomy can impose parameters that might not be adjustable within the confines of the nose. In such cases where only less extensive improvements are possible, rhinoplasty patients may benefit from non-surgical rhinoplasty, where dermal injections enhance the appearance of the nose, or complementary procedures like mentoplasty (chin implant surgery). Due to the lengthy healing process following rhinoplasty, patients should not undergo a corrective surgery until the final results of the first procedure are fully visible. There are a number of solutions available for individual needs, but in the cases mentioned above, revision rhinoplasty may not be a viable option. Revision rhinoplasty is, however, the best choice for patients who have remaining tissue that can be successfully modified through surgery. The procedure can also offer a permanent solution for nasal function issues, in cases of a deviated septum, nasal valve collapse, or irregular nostril shape. 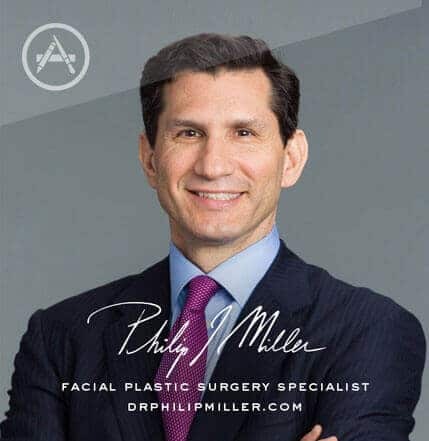 Dr. Miller may request patient records and X-rays from the former rhinoplasty surgeon to ensure a complete understanding of revision rhinoplasty cases. Most doctors will request that patients wait about 12-18 months before undergoing a secondary nose surgery. 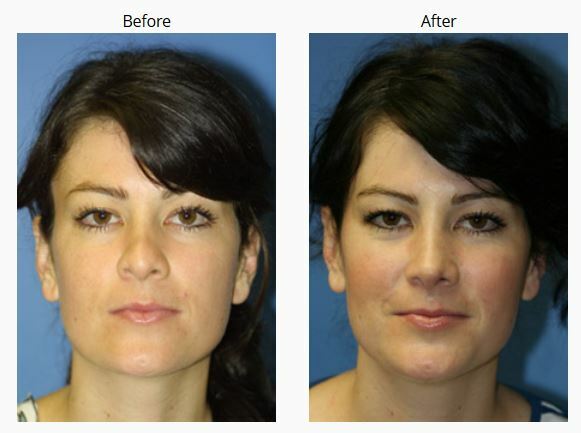 The healing process after the initial rhinoplasty is lengthy and the duration can vary. In addition, the nose will not take on its final form or function for some time. Swelling can take many months to subside, causing the nose to appear larger or of a different shape than it will truly be. A revision surgery that is performed too soon can result in further disappointment in the look of the nose. Added trauma to an already healing nose and an incomplete recovery can negatively impact the outcome of a future surgery. Patience is vital during the healing process. While individual cases will differ, generally speaking, a secondary cosmetic nose surgery can alter the shape, size, and function of the nose. A patient’s first plastic surgeon may not have removed enough tissue, and the nose may still appear too broad or over-projected. This follow-up surgery can also address a nose that is too wide. The first rhinoplasty may have produced unwanted side effects, like the build-up of scar tissue that must be surgically treated. In results where too much tissue has been excised from the nose, the doctor may elect to use nasal implants or grafting techniques (commonly synthetic, animal-produced, or patient-derived) to rebuild the feature. In patients who suffer from nasal breathing issues, the doctor may opt to perform a septoplasty (deviated septum repair) or other reconstructive techniques to address anatomical concerns. Revision rhinoplasty is common when a surgeon makes an error during the procedure or unexpected complications arise. At times, due to the extensive nature of a reconstruction or repair, a patient may understand that revision rhinoplasty is highly likely. When the nose is affected by genetics, disease, or trauma, a patient may require multiple procedures to restore or improve their looks. Often times, reconstructive procedures occur in stages, and it is possible that some patients may undergo one or more revision rhinoplasties to obtain the best cosmetic results. 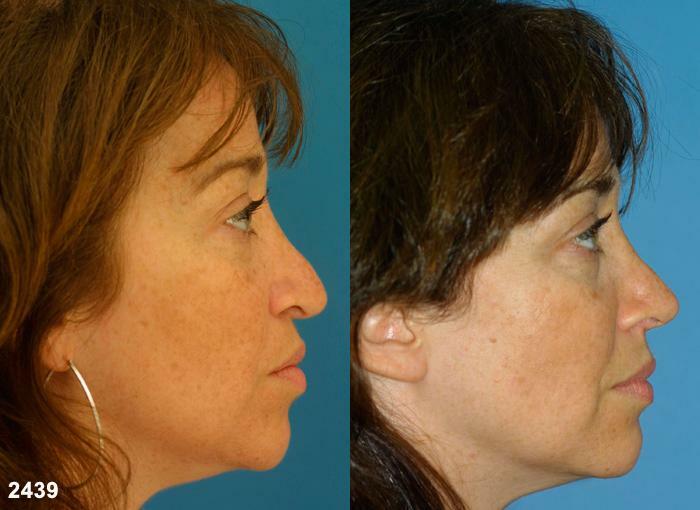 Revision rhinoplasty is performed through an open or closed surgical approach, similar to a primary rhinoplasty. In the closed approach, minimal additional scarring will be visible since the incision is created inside the nose and the work takes place through nostril access. When correcting results of prior surgeries, it may be necessary to use an open approach with the incision created on the exterior of the nose between the two nostrils. This technique allows for better visibility so the surgeon can see and access the existing issues. The doctor will discuss more specific fixes with patients during a consultation at his New York City office. Some common changes are the removal of bone and cartilage when treating a nasal hump formation, and rebuilding tissues with cartilage when depressions form in the skin. In instances where the requested fixes are relatively minor, local anesthesia may be utilized for revision rhinoplasty, while general anesthesia or sedation is typically reserved for more extensive corrections. At the close of the surgery, a protective splint will be placed over the patient’s nose to protect it from damage and help maintain the shape during the critical first week in healing. Both bridge and septum splints will be removed one week postoperatively. Sutures will be taken out several days after the procedure. Secondary nose job patients may experience some difficulty breathing during the first 1-2 weeks of the recovery period, which is largely due to swelling. Both inflammation and bruising typically occur around the eyes as well. Prescription pain medications can control any pain or discomfort that may be present during healing. Normal activity is resumed by most patients at around the 10-day mark, though exercise and heavy lifting should be avoided for about 3 weeks. Contact sports, or any activity that could cause trauma to the nose, should be avoided until after the bones have fully healed in 6 weeks. Q: Is revision rhinoplasty painful? A: Dr. Miller will prescribe pain medication to patients as a precautionary measure, but most report very little discomfort associated with the procedure. There may be some nasal congestion or sinus pressure than can be relieved by non-narcotic medications. Q: How many revision rhinoplasty surgeries can be completed on a patient’s nose? A: While there is technically no limit, because the tissue will be manipulated and sometimes removed during each surgery, each case will vary. Revision rhinoplasty becomes more complicated with each procedure, and patients should choose a board certified facial plastic surgeon who specializes in these cases. The nose is a delicate feature and even small changes by the millimeter will create significant changes. Dr. Miller should be able to revise the nose during a single surgery. Q: Who are the best candidates for revision rhinoplasty? A: Prospective patients seeking to undergo a secondary nose surgery should have a fully developed nose, which will have typically stopped growing in a person’s mid to late teen years. The individual should be healthy and fully healed from the initial procedure. Candidates should have realistic expectations about the changes Dr. Miller can create. A: Revision rhinoplasty cases often require 2-3 hours to complete. In more complicated cases, there may be additional time needed for the surgery. Q: Is the recovery different from the first rhinoplasty procedure? A: As with the initial procedure, revision rhinoplasty will require approximately 12-18 months for a full recovery. In cases where Dr. Miller has harvested a patient’s own cartilage (sources may be the ears or ribs), there may be some discomfort at these sites as they heal too. There may be additional swelling with the addition of nasal implants or the removal of extra material, especially if the first surgeon took a very conservative approach. 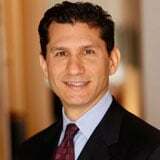 Q: Will insurance cover revision rhinoplasty? A: When the surgery, or a portion of the surgery, is performed to improve nasal breathing, insurance may pay for those specific costs. Dr. Miller’s office can contact the patient’s insurance company for an estimate of care to determine what the patient’s responsibility will be. About New York Doctor Philip J. Miller, M.D., F.A.C.S. Facial plastic surgeon Dr. Miller has over two decades of experience in cosmetic medicine. Dr. Miller has been voted among the Best Doctors in America for the past 10 years and Top Doctor of New York City. The doctor is sought after for his innovative techniques in both rhinoplasty and revision rhinoplasty. Contact Dr. Miller’s New York office to schedule a revision rhinoplasty consultation. Next, learn more about septoplasty.